Now there are exceptions to this of course, but when I tell people that in five years they will no longer need a new car, I get a look like I’m nuts. But once I explain that you are getting a new(ish) car and its a ‘need’ not want, then they are a little less skeptical. However, once I give the full explanation, as I’m about to here, gentle readers, you will agree with me and start telling your friends the same thing just to get that ‘your crazy’ look from them. First, the caveats. There are people who buy vehicles for work or hobby. Truck, Van, taxicab or RV for example. Then there are those that WANT to buy a new car because its a part of their identity, or love high performance, or have that classic that they love to drive. Then there are those who live near the edge or off the grid with poor or dirt roads. OK, now that we have the exceptions out of the way, lets talk about your typical citizen living in a urban environment. In five years, that will be the last time you need to buy a new or newish car. How does that figure? 3 things are going to start happening in 5 years and be complete in 15. In 5 years we will have our first autonomous vehicles on the road. FULLY autonomous meaning we have the legal issues sorted out that these little Google panda cars driving around my neighborhood will no longer need a driver. This will be huge. The idea that I can use my phone to have a car pick me up and take me where I need to go will be just as convenient as taking my own car. To make this work, there needs to be a lot of these little buggers running around such that I can have a car at my door in 3 min or less. Assuming Uber has not been sued out of existence, they will be first in line to try and make that happen. 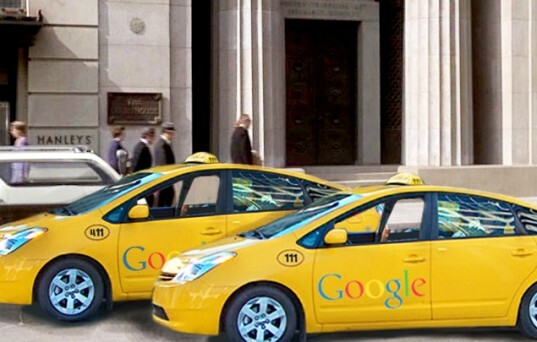 Watch for them to partner with google and some car maker. Parking space, who needs a parking space? If you live in San Francisco you know parking is a pain. Worse when you are coming home tired and the last thing you want to is run circles around the blocks trying to find a place to park. That goes away. Worried about finding parking when you go somewhere? Don’t worry about it anymore. The autono-cab will pick you up at your door and drop you off at your location. Suddenly, parking anywhere will be easier and cheaper because of the reduction of demand. Going to the game? Or big event? Not only will you not worry about parking, there will be special lanes for electric autono-cabs so you will get there faster then driving? Why will this happen? People who run events and the cities authorities where the event takes place does not want traffic anymore then you do. They want people in and out quickly, without accidents and drunk drivers making a mess of things. Win. Range? Got that covered. I looked into buying a leaf and decided not to. If I wanted to take a day trip from mountain view to say Napa, or halfmoon bay, or Oakland (hey its kick’en over there) or even SF I could not be sure I would get back unless I was positive I could find a charging station and have the car there long enough to get a charge. Our little cabs? Well, being smaller, lighter and battery tech about to double the range of current car battery packs, we only need to go one way. Odds are these little guys will have a 60-75 mile range, more then enough for a one way trip anywhere in the bay area. Now, back to the 5 years thing. So its 2015 (at least at the time of this writing). I just bought a 2013 PIP Prius although once the new Tesla comes out I will sell the Prius and get that. But lets say I keep it for 5 years and buy a 2018 Tesla. (I almost never buy new). That takes us to 2020. 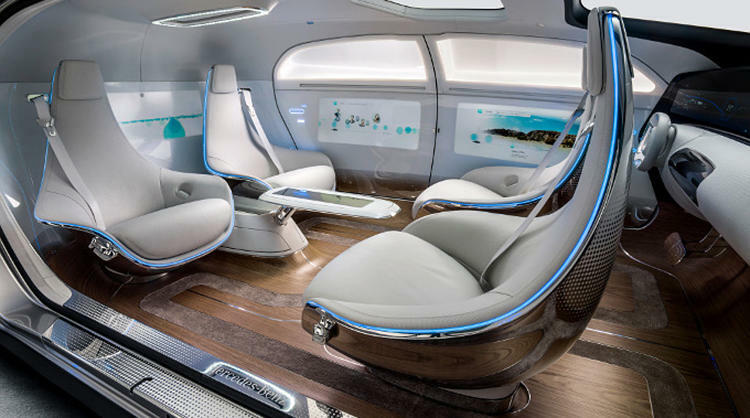 Many people believe, as I do, that we should start seeing autonomous cars on the road in 2020. I live in Mountain View, which is not ‘Big city’ but dense enough that the first wave of autonomous cars will reach me. Odds are, like bike sharing, there will be a monthly or yearly fee you can pay for near unlimited rides. So that means my Tesla stays in the garage unless I need to go somewhere outside of my local area or I want to go for a fun drive. So now that 2018 is taking on less miles and holding onto more value. So instead of getting a new car in 2025 I can wait until 2030 or longer depending on how often I drive it. So now we are at 2025. Battery tech will have doubled again (conservatively) making autono-cabs to more specialized public cars cheaper to make. The autono-cab is mostly a giant tablet now with multiple screens. Averts help reduce the costs even more. Choice increases as well as we see Apple cars, luxury Lexus and turbo Tesla’s available via an app. My 2018 Tesla is sitting in the garage most of the time and my wife got a new’ish’ car in 2015, so we have two cars that we really do not drive. It does not make any sense to have 2 cars now, so we will sell one of them. Now we just need to stretch the remaining car to 2030, which will be easy because again, we do not drive it much. By 2030 the autonomous car is ubiquitous. There will still be manual cars out there but even they will have ‘safety’ overrides. The number of car accidents plummets, car insurance goes up for some, and no longer exists for others. There are gas stations, but they are also charging station for the autono-cabs. Owning a car repair shops goes they way of the local newspaper. Traffic actually goes down instead of up even as population increases. There are more people on the road, but traffic is more efficient, almost no accidents to cause backups, no rubber necking and very few breakdowns since the cars know when they need attention and can drive themselves for service. Places like LA see a marked reduction in pollution. And one of the biggest win IMHO, drop in drunk driving. Buying a car in 2030 does not make much sense. Now there will be losers in this grand future I’m painting. Vehicle drivers; cab, truck, bus will be losing their jobs. Mechanics, we will not need as many. Oil? Do not need as much of that either. Car insurance, car dealerships, towing services; not a growth industry. Municipalities will need new revenue (most likely they will tax the cabs per mile). Traffic tickets? Kiss those dollars goodbye. Toll takers? That is already disappearing. So lets recap. I said that in 5 years, that will be the last time you ‘need’ to buy a new car. Math review time! Buy car latest in 2020. Good for 5+ years. 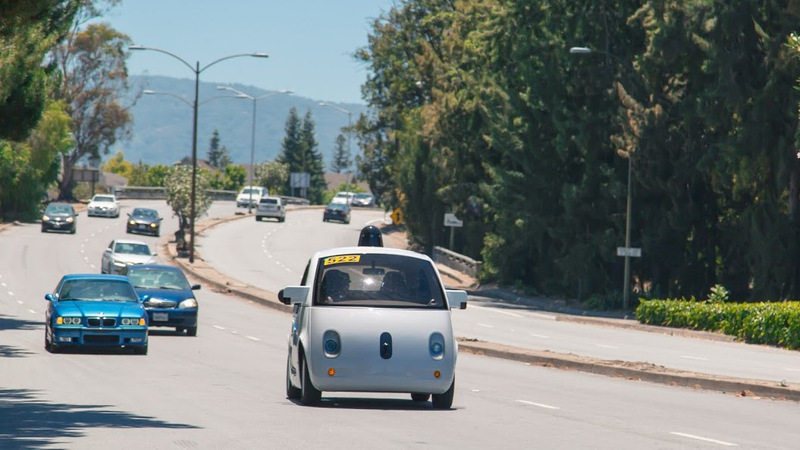 We should see the first deployments of self driving public cars in 2020. By 2022, they should cover most urban and sub-urban areas. Since you are driving your car less, you can hang on to it for another 8 years easy which brings us to 2030. Not so crazy sounding anymore right? 1) So start telling your friends. 2) Make money bets before you explain. 3) Profit! P.S. I started telling people this back in May, and started writing this post in June. So no, I’m not following the crowd, just talking WAY to long to write my posts now-a-days.